The GEPRC flying team carefully calibrations PID, the factory to the binding receiver can fly. 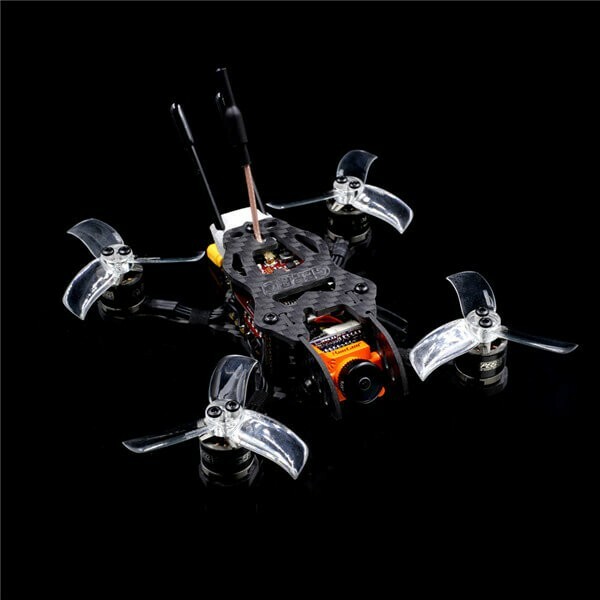 Using the GR1106 6000kv motor and Gemfan 2040 3 blade propeller and 3s 450mAh battery, perfect match, efficient and violent. Using the mature GEP-HX2 frame, and the base plate to 3mm thickness, all 3K carbon fiber main board, strong resistance to fall.